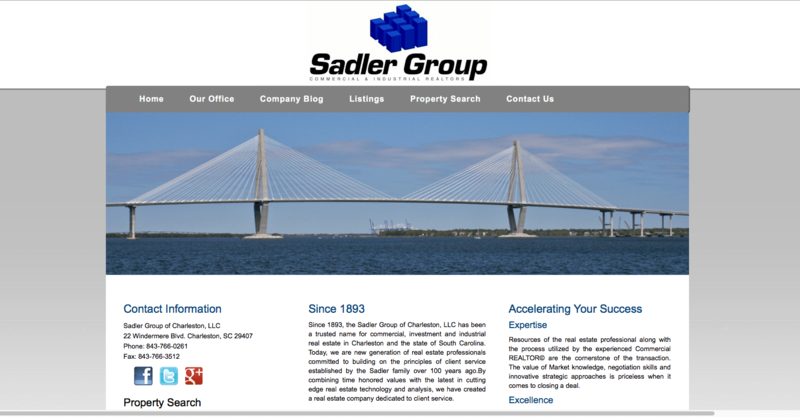 If you’re looking for great commercial real estate agency website design, we can help. We use the latest in technology to provide you with the best online marketing presence at the lowest price. Our unique partnership with a cutting-edge website designer, Real Internet Sales and IDX/RETS Software, Brokerlead, allows us to bring the latest and best technology to you at a fraction of the cost of most websites. Furthermore, we understand the unique needs of Realtors and other real estate professionals. We can maximize your budget by allowing you to buy components only as you need or want them. For instance, you can purchase the website only and add neighborhoods later as your marketing budget allows. Or, if you’re an agency, you can pay for the base level agency website and let your agents purchase their individual agent pages. There are as many configurations as you can image and you can keep adding until you have your optimal product. Better yet, our service packages allow you to have one consultant that is responsible and accountable to you for all your marketing and technology needs. Think of us as your own IT Department and Marketing Department for your real estate business! While Commercial Real Estate websites are different from residential real estate websites in most respects, they are very similar in one respect. Regardless of the design, atheistic, and information, if you do not have significant traffic, then the website will not be successful, period. This fact is the main point that many otherwise exceptionally savvy commercial real estate website buyers miss. While they entirely understand the value of traffic in their profession and the profound consequence to valuation that traffic presents, they don’t always follow that same rationale in website design and marketing. We can help you drive meaning traffic to your website.